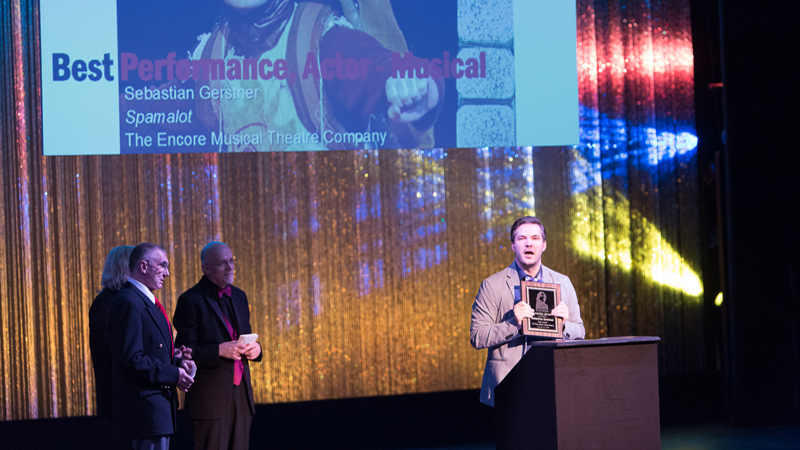 There were lots of awards to go around Monday night. 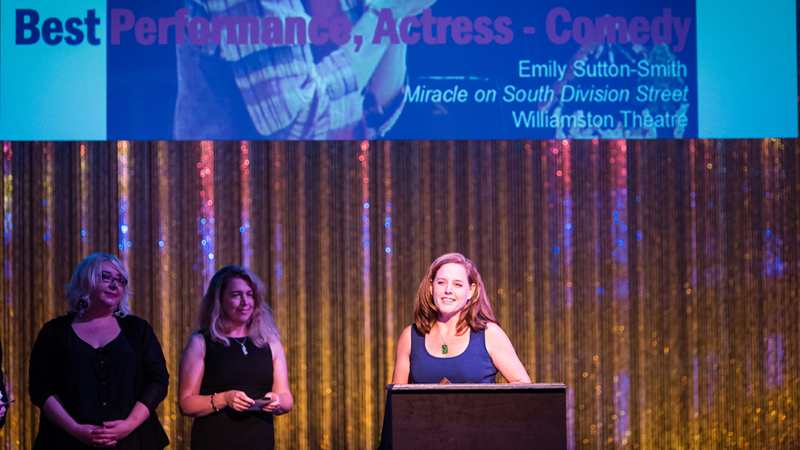 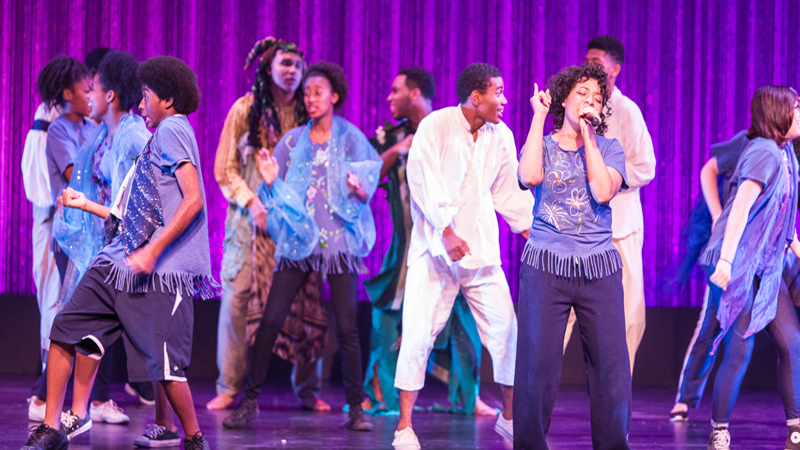 It was a night in which no single theater dominated the awards, but instead 19 productions produced or presented by 16 theaters took home 25 awards Monday night, Aug. 31 at the 14th annual Wilde Awards. 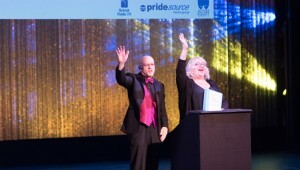 In addition, a total of 28 artists out of 128 nominated took home an award. 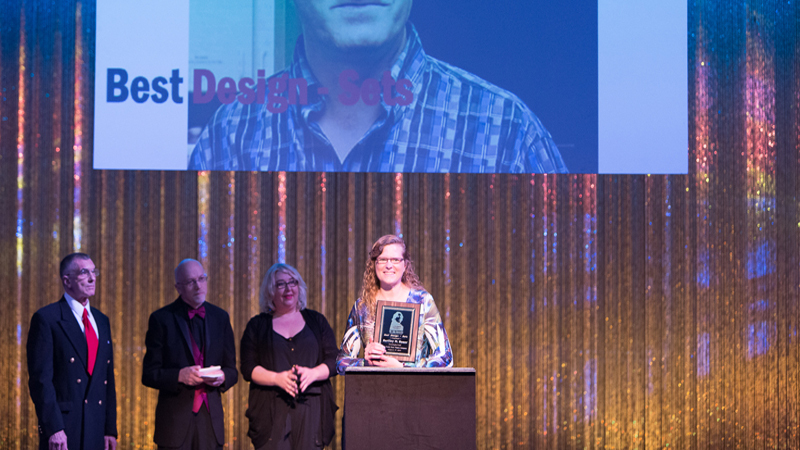 Of those artists, only one, Igor Gozman of Detroit’s PuppetArt, took home more than one. 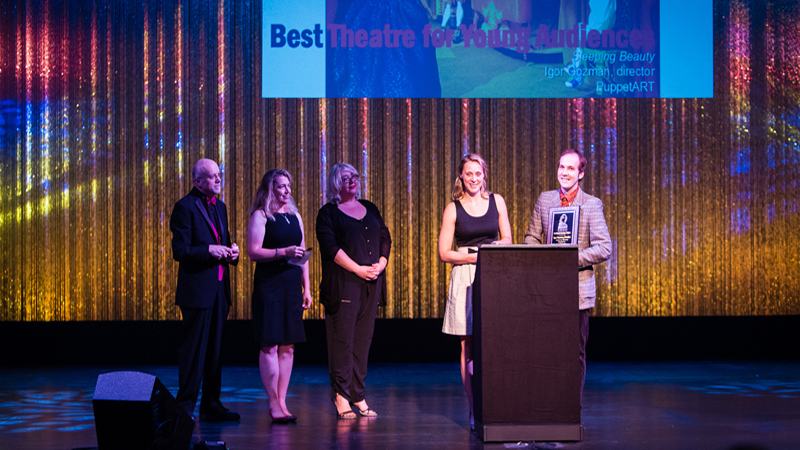 Standing out from the crowd, Purple Rose Theatre and the Michigan Opera Theatre each took home three awards. 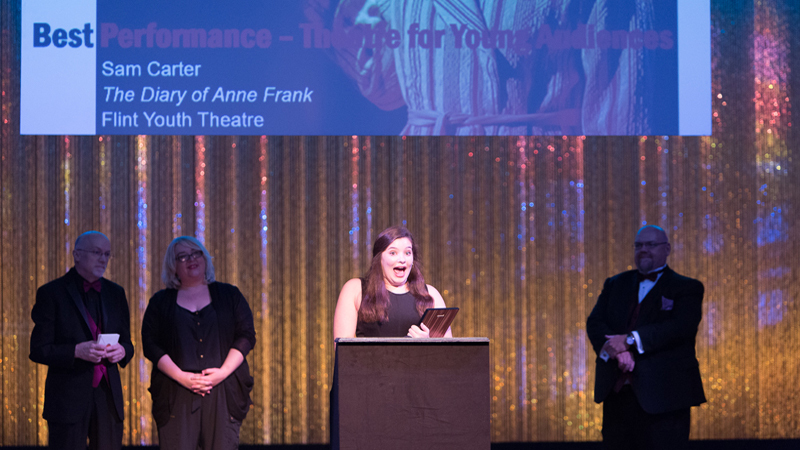 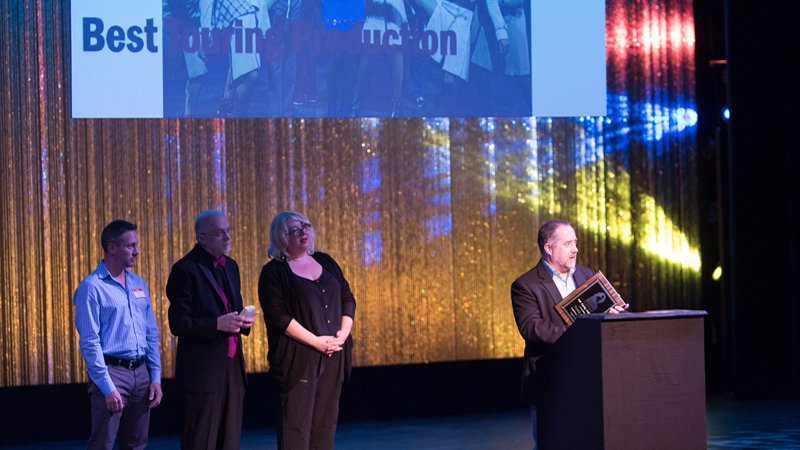 Annapurna from Purple Rose Theatre took home the most awards for a single show, winning Best Drama, Guy Sanville; Best Design for Sets, Bartley H. Bauer; and Best Design for Props, Danna Segrest. 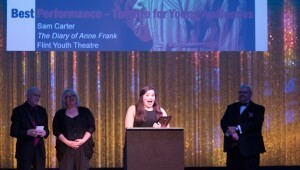 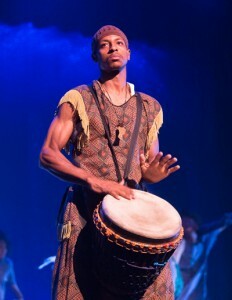 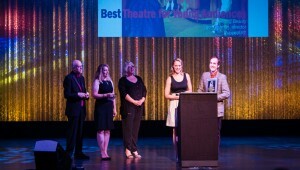 The awards are given out by EncoreMichigan.com and its critics who reviewed 168 productions produced or presented by 49 professional theater companies located in 25 communities across the state. 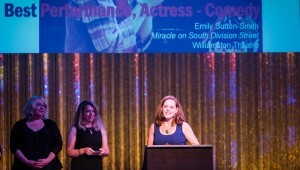 This year marked an abbreviated season of 10 months rather than 12 as EncoreMichigan.com changed its reviewing year from September to August to one that is June through May. 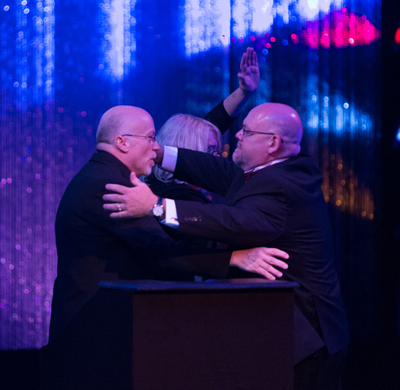 The change was designed to move the Encore awards ceremony back to a night where more theaters could attend. 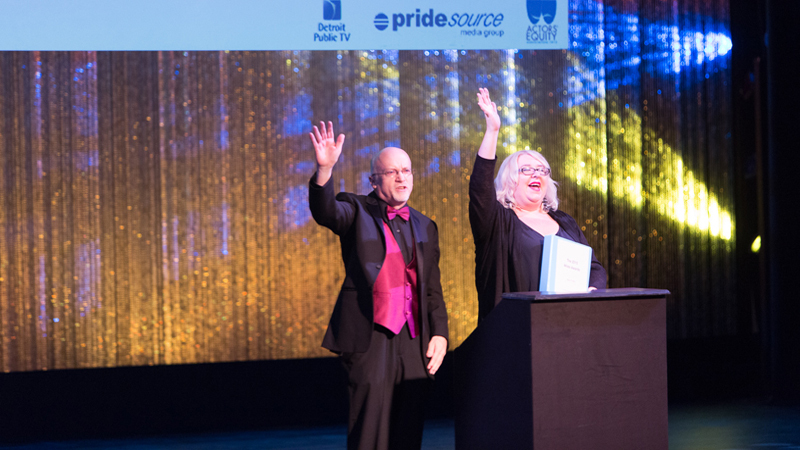 The team of critics this year included Calamia, Carolyn Hayes Harmer, (EncoreMichigan publisher and editor-in-chief) David Kiley, Martin F. Kohn, Jenn McKee, Sue Merrell, Amy J. Parrent, Frank Anthony Polito, John Quinn, Bridgette M. Redman, Judith Cookis Rubens and guest critic Jennifer Knightstep. 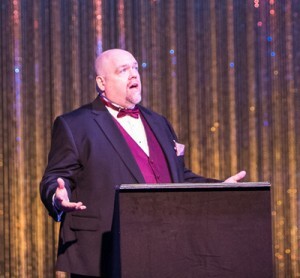 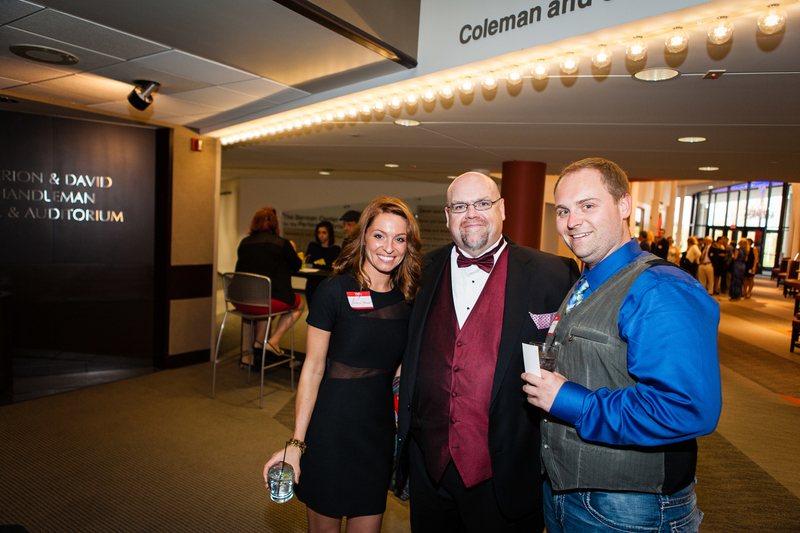 Only shows that are produced or presented by Michigan’s professional theaters and opera companies—both union and non-union—and reviewed by EncoreMichigan.com’s theater critics during the 2014-2015 season were eligible for a 2015 Wilde Awards nomination. 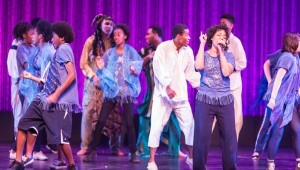 Shows had to be performed for four consecutive days or more or over two weekends or more to be eligible for a review. 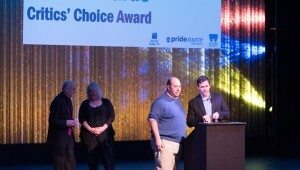 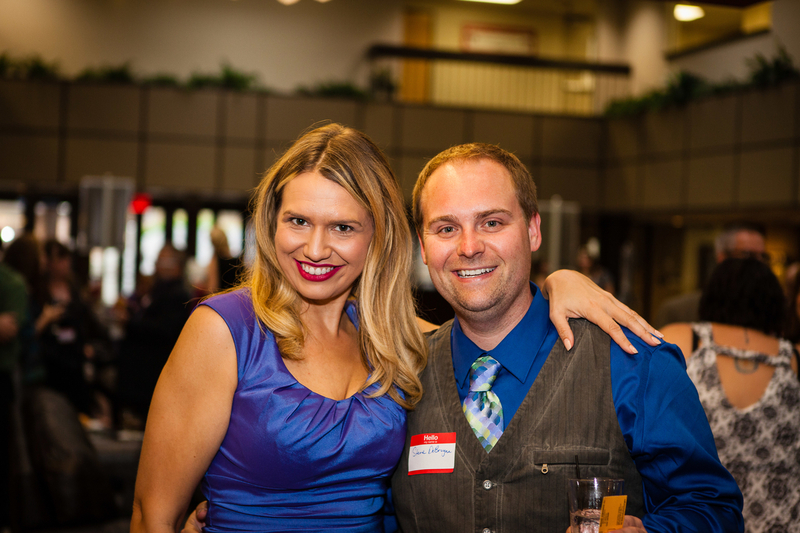 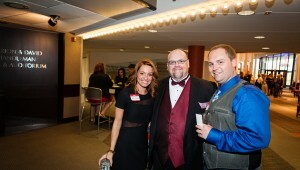 This year is the first Wilde Awards under EncoreMichigan.com’s new ownership of New Roads Media. The awards ceremony took place at The Berman Center in West Bloomfield, with representatives from theaters around the state attending. 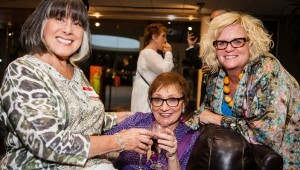 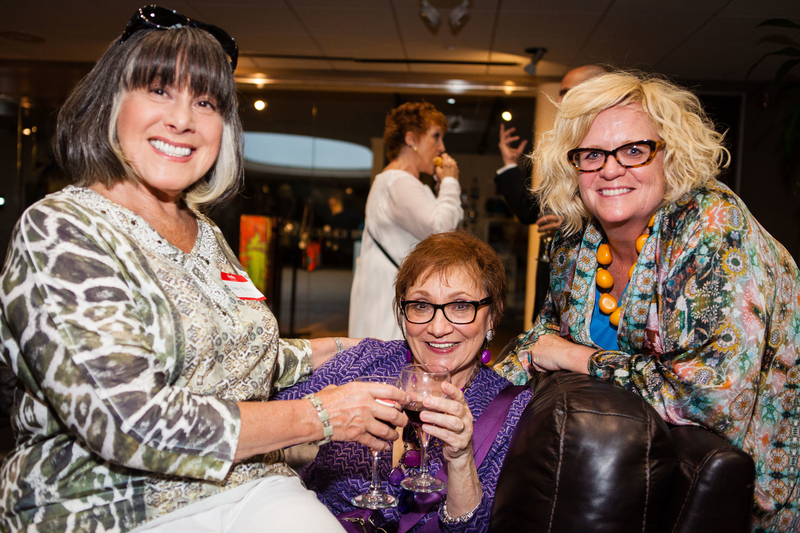 The event began at 6:30 p.m. with a social hour of cocktails and hors d’oeuvres before the show began at 8 p.m. The evening mixed entertainment with announcements of the awards, with a performance by Mosaic Youth Theatre of Detroit, which included highlights from their recent run of Public Works: The Tempest, and from Eric Gutman, a selection from his one-man show, From Broadway to Obscurity. 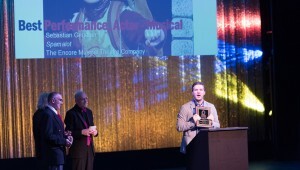 Other top winners were the Michigan Opera Theatre’s Elektra, which won Best Opera for Nicholas Muni, director and Best Performance, Opera, for Christine Goerke. 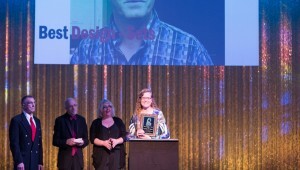 They also took home a Best Design — Costumes for Monika Essen for the opera Frida. 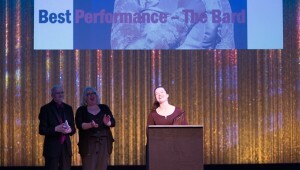 Best Comedy went to Beth Torrey, the director of Tipping Point’s Leaving Iowa. 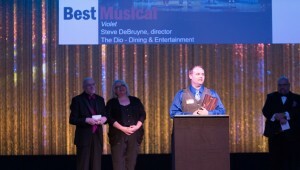 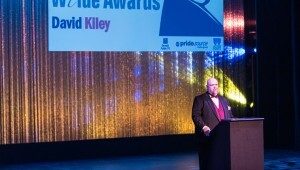 Best Musical went to Steve DeBruyne, director of Violet at The Dio – Dining and Entertainment. 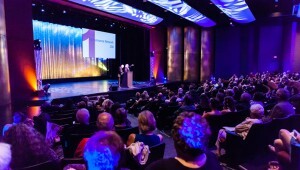 Other theaters that took home two awards were The Dio –Dining and Entertainment (Best Musical and Best Performance Actress in a Musical), Shakespeare in Detroit (Best of the Bard, Best Performance – The Bard), PuppetArt (Best Theatre for Young Audiences, Best Choreography), Williamston Theater (Best Performance Actress – Comedy, Best Teamwork) and the Jewish Ensemble Theatre (Best Performance Actress – Drama, Best New Script). Don Calamia and David Kiley sharing an emotional moment at the close of the awards evening. This year, instead of the Wilde-R awards, Calamia shared facts about which theaters and which performers were nominated the most and which ones brought home the most awards in the 14-year history of the Wilde Awards. 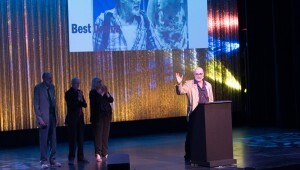 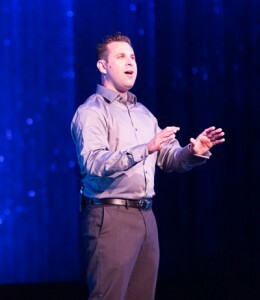 In the top spot for awards for performers was Tony Caselli, artistic director of the Williamston Theater. 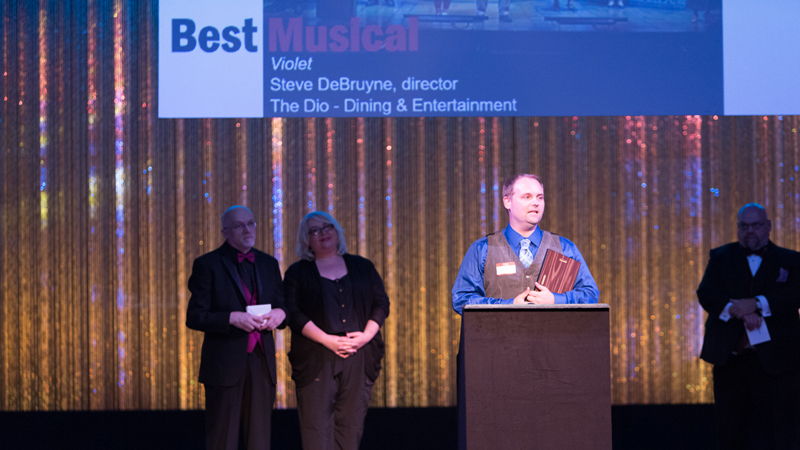 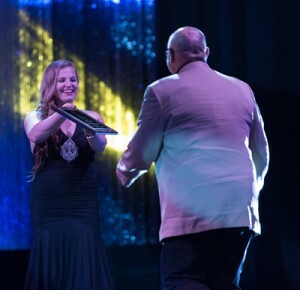 Other special awards went out to Farmers Alley Theatre, the Detroit Improv Collective, Kurt Stamm of Mason Street Warehouse, Bailey Boudreau of Slipstream Theatre Initiative and Kristine Thatcher. 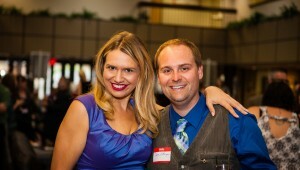 All photos by Sean Carter Photography.